At Saint Joseph Health System, the most precious gift a family can receive is the continued growth and health of their tiniest family member. As a leading Level III Neonatal Intensive Care Unit (NICU) in Northern Indiana, we care for every newborn's need. Every day, a team of board-certified neonatologists, nurse practitioners, nurses and respiratory therapists work together to ensure the tiny hearts they hold in their hands receive the biggest chance at living a thriving, healthy life. Because of the expert level of care Saint Joseph Health System provides, at-risk babies and their mothers are transported from area hospitals, birthing centers and homes in Northern Indiana and Southwest Michigan to our Level III NICU. For just the cost of a dozen roses, you can significantly support the Saint Joseph Health System Level III NICU and its calling to care for our tiniest hearts. 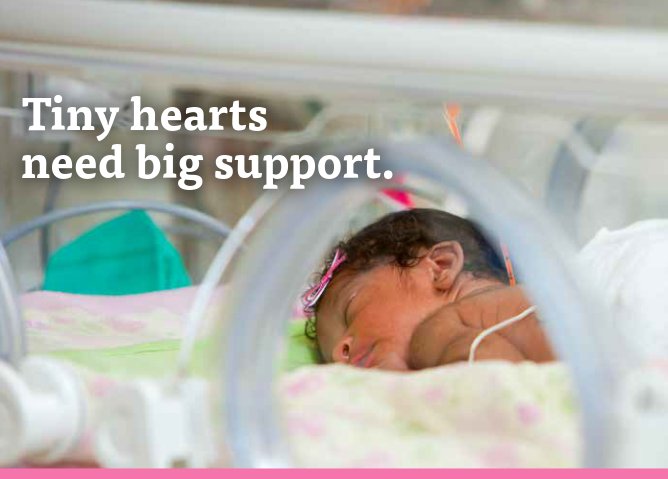 Your generosity will give our most vulnerable babies the help they need to make a lifetime of heart-filled memories.